Don't forget to order a wedding cake knife set! The wedding cake cutting ceremony is one of the main "events" that will take place at your wedding reception. 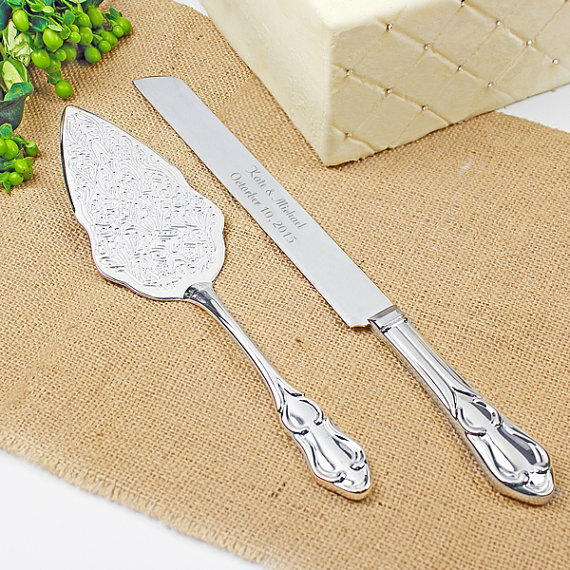 A beautiful engraved wedding cake knife and server set will remain a treasured memento of your special day. Don't miss our wedding cake toppers and toasting flutes as well!